We are afraid of the night because we were told there are monsters that will crawl out of the closet or from under the bed. We don’t try enough because we were told it’s too dangerous to climb up the chairs. We don’t innovate enough because we were told the success of a person depends on their academic competency. We are annoyingly competitive because we were told that’s it’s a shame to come out second in a class of “geniuses”. We are afraid of losing out because we were shown from young that the best way to “chop” (reserve) a seat in a crowded food center, is to throw a pack of tissue on the open table. We do not dare voice out our frustrations because we were told that being the odd one out, will get you in deep trouble. We don’t care enough because we were told to steer clear of beggars/baskers and that some of these people are really rich people in disguise. 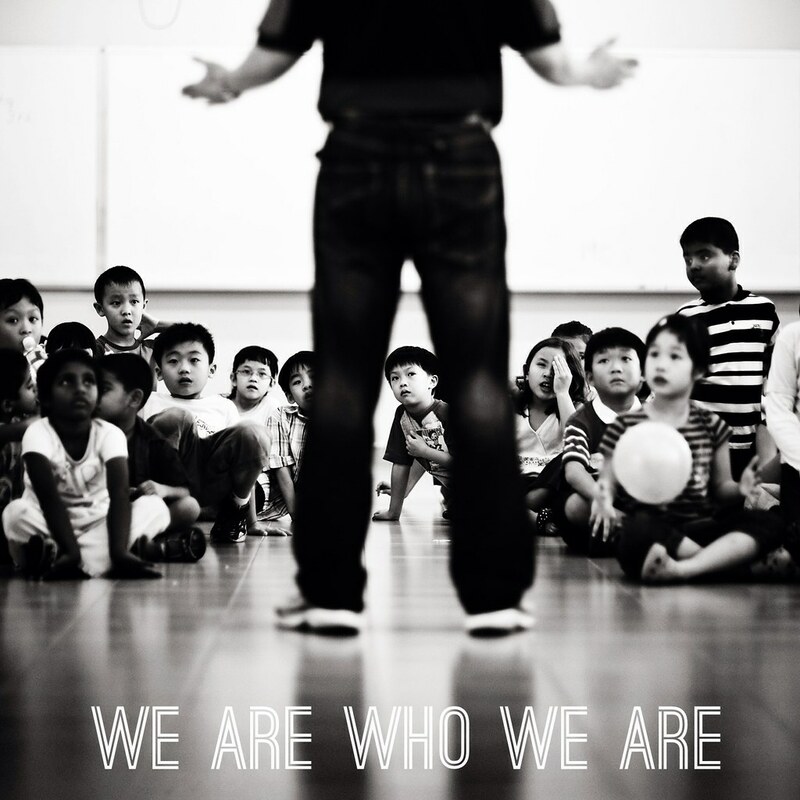 We are who we are, not because of how our teachers imparted knowledge in class, or how our government mold us. We are so, because we were shown the way, by our parents. We all fall prey to some or all the traits above, but the worst would be to not be able to reflect on ourselves and blame others for our own ignorant ways. I once encountered an incident when I was on the way home from work. I had to pass through this small narrow pathway to get back, and there was this cute little kid standing in the middle of the pathway, waiting beside a bicycle that’s parked across, blocking the pathway as a result. As I approached and asked politely if the kid’s able to move the bike a little, so I could cross, I was taken aback when the kid flat out refused to budge in an “I own the street” sort of loud tone. I was dumbfounded. And yet, at that moment, I could see how/why her kid reacted the way in the first place. Because we are who we are, as shown by our parents. If we are to become better people, a better nation, we must first learn to reflect. Because without knowledge of our own flaws, we will never be able to truly improve. Do it right, stop the spiral effect. Our next generation is key.